The decorations have come down and the lights have been out away for another year but as we look back over 2011 there are still plenty of things worth talking about. 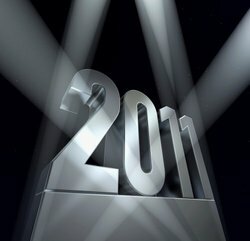 The decorations have come down and the lights have been out away for another year but as we look back over 2011 there are still plenty of things worth talking about. For many in the channel it was a 12 months of hard work but in the majority of cases as Amro Gebreel finds out it was also a period of hard earned success. Ask people across the channel what they think about the year that has just gone and it involves an acceptance that it has become harder to get the customers to spend but there is also an acknowledgement that there is still a need to invest and although its slower than we all hoped the recovery is coming. Ollie Ross, Head of Research at The Corporate IT Forum, said that perhaps unsurprisingly, corporate IT budgets have remained tight in line with the unstable global economy. However, this has inspired the IT function to focus on delivering 'more for less'. "A firm hand on expenditure has been matched with a determination to use both mainstream and emerging technologies and services innovatively," he says this has been seen particularly in terms of the attitude towards the cloud. "Realising the benefits of virtualisation has been a core focus for many corporate IT users this year. 2011 has seen the corporate IT function take a serious approach to the opportunities offered by the different aspects of cloud computing. Overall, initiatives involving a 'private cloud' have been more favourable with corporate IT users than public or 'mixed' cloud offering," he says. Ross also talks of the buzz word of last year 'consumerisation' and reveals it is spreading far and wide across the customer base. Steve Attwell, General Manager for Sage's lower mid market & channel division, says that last year was one where many organisations were gearing up for recovery and reshaping their businesses. "With firms making investments for their future, demand for solutions and services that deliver long-term efficiency savings has risen, but investment has also been a lot more considered than in previous years," he says. "At Sage, we've continued to see a strong pipeline of leads across our ERP portfolio, as well as increased interest in CRM, both as standalone systems and as part of suites such as Sage 200. This has been reflected in strong growth across our channel, to the point where some of our Business Partners are actually struggling to recruit people quickly enough," he adds. Chris James, EMEA director of marketing at Virtual Instruments, is another to talk about the cloud and its impact breaking down the traditional silos in business and datacentres. "Among the key trends in the past year we have witnessed significant growth in the demand for 'de-risking' critical applications. I believe this is due to the ever-increasing importance of IT performance and increased use of virtualisation, irrespective of the industry. This has represented a source of new business for the channel," he says. Richard Roberts, head of Cisco's UK & Ireland partner organisation, told MicroScope that the change in IT consumption models has to be one of the key channel trends of 2011. This market transformation has acted as a call-to-arms for vendors and partners alike with regard to how to deliver business value in light of the changing roles, cash flow and compensation models required. "We have experienced exponential growth in Data Centre virtualisation sales in the past twelve months, underpinning this significant market shift. Whilst a significant amount of virtualisation implementations reside within the enterprise, there is a strong momentum building for hybrid and cloud solutions of all types, that scale to every segment of the market. This transition offers great opportunities for the partner community to choose what role they want to play - either as a provider of "as a service" services, or as an enabler for others," he says. "This market evolution offers significant services, integration, migration and out-source opportunities for the partner community, leveraging their deep expertise in security, network and application migration, and business continuity services. I believe the industry has had to re-think the historical 'one size fits all' approach, which is inappropriate when building a sustainable, differentiated partner Go-to-Market model," he adds. That talk of security being a good skill to have is echoed by others in the industry who focus on that area. Nick Lowe, VP of sales EMEA at Cyber-Ark, says that security is still a great place to be. "The reseller market is changing and I would bet that the new breed of problems and their solutions are good news for the VAR. As security spend broadens to include identity and content specific technologies, the service attach rate increases massively. Yesterday we saw occasional deals in the multiple hundreds of pounds, today this is our main stream and the larger deals are at £1M plus. Enterprises recognise the need to protect access to their core systems as regulatory awareness increases along with the desire to save money by using cloud and service driven models," he says.